He did it again! Even after he had promised himself never to do it again. He could already tell what poor grades he would be making. He never bargained for this, but just like every other time, he just manages to screw up. Who knows that feeling when you walk out of the exam room or hall knowing you’ve totally messed up? How Often Do You Experience This? With exams lurking around the corner, you really should be giving much thought to how prepared you are for the final segment of this academic term? 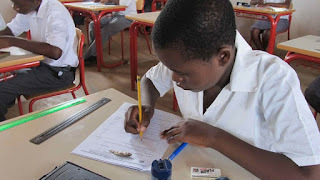 For some students, preparation for exams started sometime after school resumption and we already can say they have a better shot at making the best grades at the end of the term. If you’re just starting to prepare , then you’re still a long way off. We wish you success anyway! The eight tips that follow can help you pass any examination if you have studied as much as you should. Just as studying is important to passing an exam, self coordination prior to exams gives you an edge. Get rid of any activity that will get you distracted when the exam starts. If possible, spend the final minutes before exam alone in a quiet place. This gets you ready for what is coming up. Use this period to reflect on questions you’re anticipating from the subject teacher. Dwelling on thoughts of how you’ve scaled through even more difficult exams in the past. Muttering some confidence boosting words such as ‘I can do this’ has also proven to be a huge upliftment to some students. Ever heard the saying that ‘first impression matters’.It sure applies to exams. Your personal details is what the examiner sees first before proceeding to your actual write-up. You, therefore have failed the preliminary test if you fail to meticulously fill in your personal details, upon receiving your answers script. Make it your first exam activity or you might forget to do it at the end of the day. You sure know what that means! The instruction section tells you what the examiner expects from you,while doing anything contrary to this, means you’re already on the wrong side of the equation. If the examiner decides to give their instructions orally, then you must pay close attention to what is being said. Since you may not have the answer to all the exam questions, going gradually gives you some speed and confidence as well. For a start, provide full answers to the questions you are super sure about. Then the ones you are sure about. You can then spend the remaining time on those that require critical thinking. For exams,slow and steady wins the race. There is no guarantee that there will be no distractions in the exam room or hall, though it is usually a very quite place. Do not be swayed by side talks or any disturbances. You could easily get lost with your work if you allow this. Also be alert to wave away any iota of thought not related to the task at hand (exam),which may come to mind. Teachers do not feel at ease assessing a script with so many spelling or writing errors. This doesn’t bode well for you as a student if you make incomplete sentences or words perhaps because you are writing hurriedly. At this point, you go through every single alphabet, word, sentence and lines you’ve written down. Make corrections where necessary and if time permits, continue to review. These basic exam ethics are proven to guarantee the best grades if you get mastery over them.